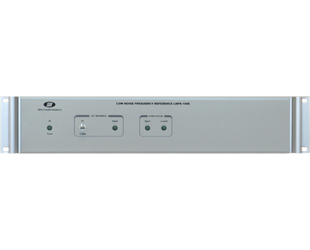 The LNFR-100E is a high performance 10 MHz distributed frequency reference. It contains a 5 MHz SC-cut ovenized oscillator, a low noise frequency doubler and a distribution amplifier module. 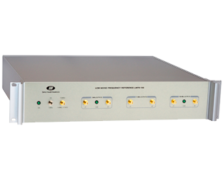 The 10 MHz signal is distributed by the distribution amplifier to provide four 10 MHz outputs on the back panel. 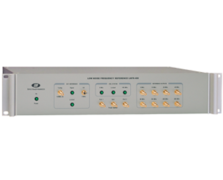 Typical cross-channel isolation is 70 dB and reverse isolation is typically greater than 75 dB.